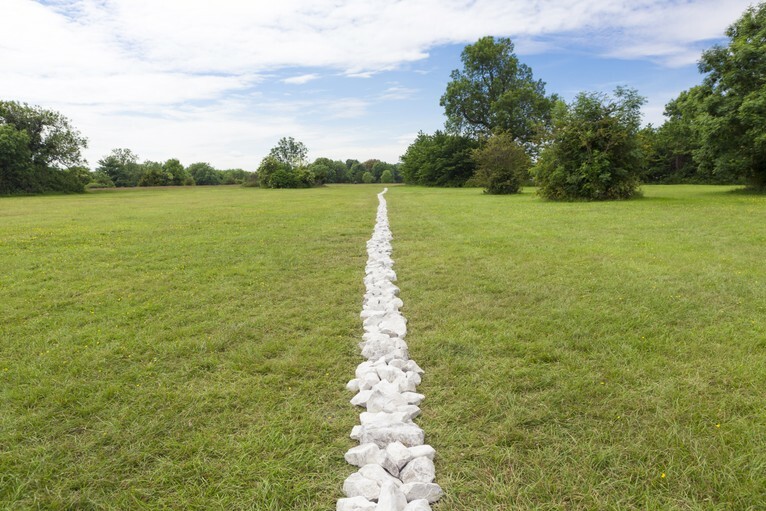 Rather like the work of sculptor, Andy Goldsworthy, Richard Long’s work almost constantly and immediately asks an intriguing question: which part of the work is the official segment of “art”? Is it the very act of the process of making and doing which so often constitutes the work or is it the very documentation of such a process? It needn’t be such a binary state of affairs, the two potential options having a fluid relationship which slides back and forth. The best example of this questioning comes in one of Long’s earliest works, A Line Made By Walking from 1967. 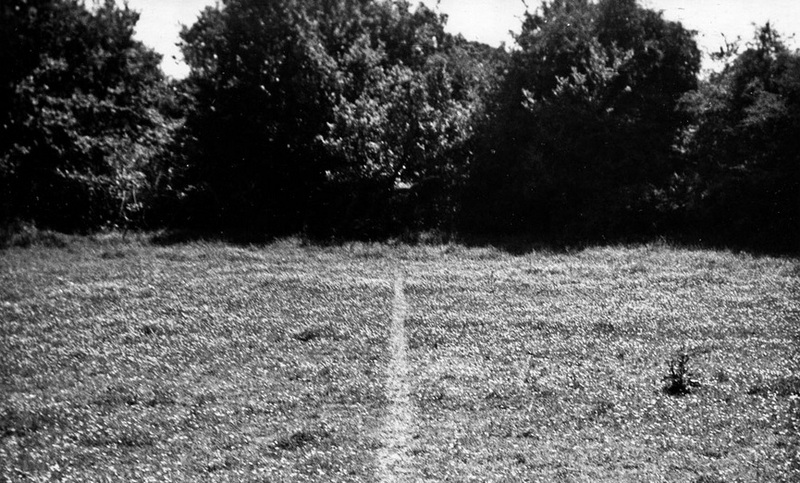 In the title alone, the question is already expanded upon even more: which is the most important aspect – the line, the act of making the line or the documentation of the finished line? Because Long would walk (often in solitude) to make these works, for the sake of writing about such a work, the process must at the very most become a context rather than purely its content as witnessing the process and even the finished line are both receptive impossibilities for a modern audience. In an article for The Guardian in 2012, Charlotte Higgins wrote of the piece’s humble rebellion, suggesting: “It was quietly revolutionary, for it claimed the act of walking as art. 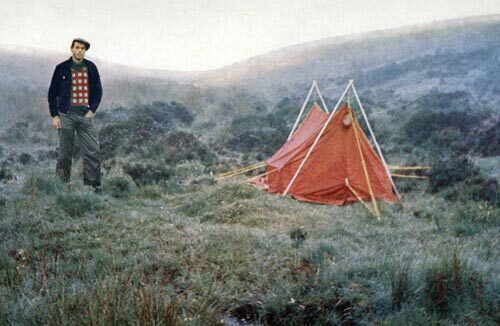 The very tread of his feet was the work: this was different from the Romantics’ interaction with the landscape, in which the art was, to quote Wordsworth, “emotion recollected in tranquillity.”” (Link). 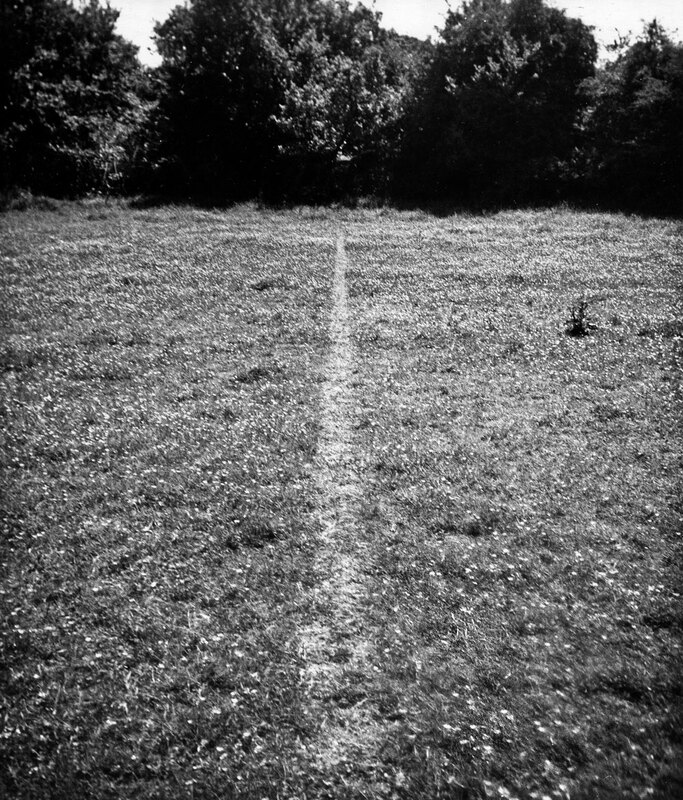 The problem of what the artwork is arises again as, even though the work is apparently the “very tread of his feet”, in the paragraph before this description, Higgins describes the work as “… a photo of a narrow stripe of grass, flattened by the tread of his feet, through a meadow near his home in Bristol.” (2012). A Line is potentially both the documentation and the act even if the only person to experience the latter aspect was Long himself when he actually walked the line into existence. The viewer is, therefore, lucky to have such a documentation though the very act of the viewer experiencing the work through such documentation still forces them to ask the question of where the crux of the artwork lies. This aspect of documentation contains the Pandora’s box of complex ideas within Long’s work as a whole; where the lid opens to reveal aspects of time and space within what seems to at first be simply an aesthetic piece of walking-based photography. In the same Guardian interview, Long discusses such elements, writing that “The significance of walking in my work is that it brings time and space into my art; space meaning distance. A work of art can be a journey.” (2012). This accounts for the simple presentation of the work: for the work to realise all of this through aesthetic means would be impossible in a non-temporal format. Perhaps such a journey could be construed through video and audio formats but Long works in neither of these formats; it could be argued that Long’s canvas is not photographic but actually topographic with the landscape itself being his raw material. Dieter Roelstraete composed a whole monograph virtually devoted to the ideas examined by effectively splitting the concept of space in the work of Long. This split comes from experiencing Long’s work in a gallery space, where the photograph taps into exploration and performance of an entirely different and even opposite space. Ultimately, like any work involved with interaction with the landscape, A Line Made By Walking serendipitously ends up commenting on the linear progression of human life. Long himself suggests this to be a key theme in his work, writing that “My work has become a simple metaphor of life. A figure walking down his road, making his mark. It is an affirmation of my human scale and senses.” (link). As A Line is so early in his career it could perhaps be seen a stretch to suggest this much later quote about the development of his work comments upon such an early piece. Yet it surmises the work of this modest artist far more than he is probably willing to accept; not because his work hasn’t (ironically) progressed, but because he hit upon the spark of an original, questioning conception of creative practice from the very outset of his working practice. 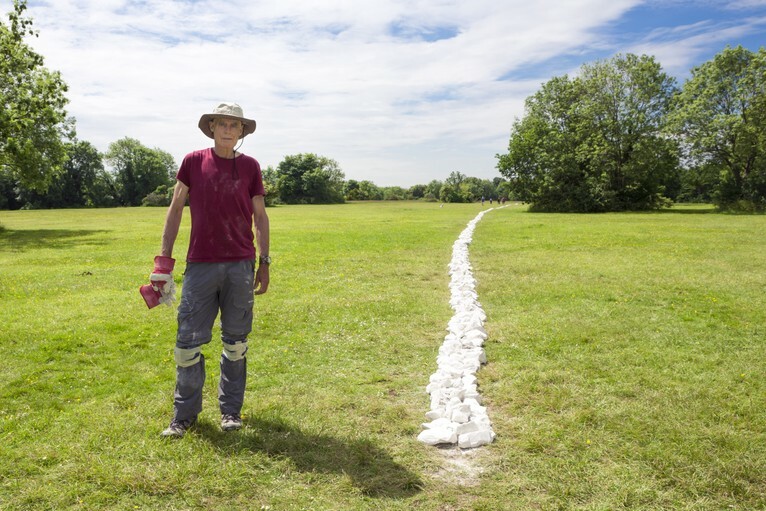 Walking the land, mapping the rock, documenting the moment: these are the traits of Richard Long, the master of the walk-work. Wanders: The Magnet and The Last Resort (New Brighton).